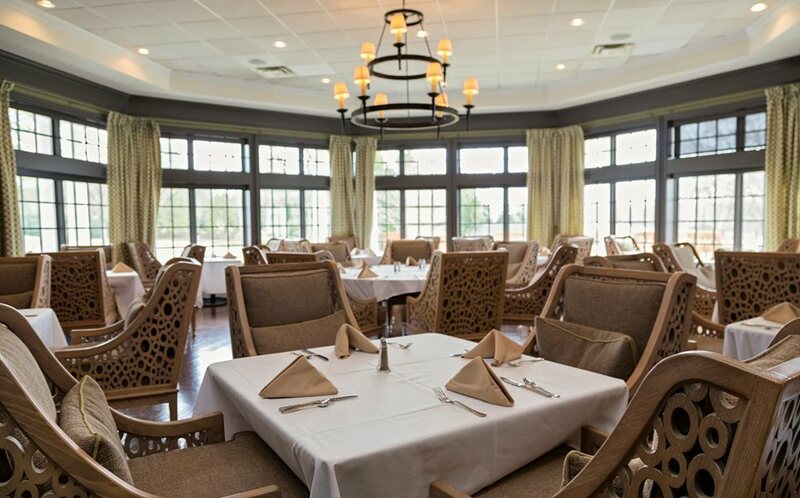 The Pinebrook Grill, Bar and Patio is the hub of our dining and social scene at Maple Chase. Named in honor of our former club, the beautifully remodeled dining room and bar is inviting and comfortably furnished. Relax in the cozy seating area situated at the bar area’s fireplace, enjoy a drink or sporting event at the bar, dine in the elegantly appointed Pinebrook Grill or enjoy a cocktail or meal with friends on the patio overlooking our expansive putting green with views of the golf course and green spaces. You can enjoy traditional dining throughout the year or attend special dining events such as “Music on The Patio”, a themed buffet event like “Seafood Night” or enjoy a special dining experience inspired by a current trend or a particular culture dishes. The main dining menu is seasonally inspired so that our members and their guests will always enjoy the freshest local ingredients. While our offerings may adjust with the season, we will also keep the traditional favorites available. On the menu, you will find a dish for every palate as well as entrées featuring small and large portion sizes. From fresh salads, classic sammies to delicious seasonal entrees and a wide array of bar offerings, our culinary team and service staff strive to make your Maple Chase dining experiences delicious and enjoyable. Maple Chase Golf and Country Club has a partnership with Quanto Basta Restaurant. It is located on the corner of 4th Street and Spring Street in downtown Winston Salem. If a member dines at Quanto Basta Restaurant on a Monday or Tuesday evening, Maple Chase will apply the cost of the meal towards the member's food minimum. This is a nice perk that is unique to Maple Chase.